Shelly Connors’s worlds—on land and in the sea—are turned upside down when an evening swim turns into a nightmare. On a sweltering night deep in the bayou, the mystical mermaid witnesses a horrifying act. With a monstrous killer now hot on her trail, her life and the lives of her kin are in jeopardy. Terrified of becoming the next victim, Shelly has no choice but to turn to Sheriff Tillman Angier. Tillman has had his intense gray eyes on the sultry honey-haired beauty for a while. The feelings are mutual…and impossible to ignore. But he’s determined to solve the murders, and he knows Shelly’s hiding something. Can she trust him with her deepest secret? My Thoughts: I enjoy reading debut novels. Particularly when I find the writer engages my attention and interest with a little extra in her writing that tugs me into reading another of her books. We all know that the first of everything is always the hardest and writing is a talent that grows as the writer writes. I didn’t spill any tears in this read, but indeed got my thrills! This was a suspense thriller that kept me reading. Debbie Herbert knows how to ratchet up a story that grips the reader’s mind, creating a protagonist that is just plain scary. I love when from the first page, I’m drawn in. In this case, it was into the swirling water, along with Shelly Connors, trying to escape with my life. Shelly sees the kind of man Melkie is, when he dumps a body into the bayou. The body was wrapped in a plastic bag tied with a rope, a brick dangled from its end. The body dropped to the bottom of the bayou. Melkie spots her – he has a witness to his crime and will search her out, killing her, too. When Shelly dives into the sea to escape him, her tail fin is exposed. Melkie throws his knife, hoping to kill her. The knife gets embedded into her fin. But Melkie doesn’t know who he saw. A woman? A fish? Melkie, although evil in this story, did have reasons why he acted the way he did. He was terribly good to his dog, Rebel, giving him the cheeseburger while he drank the shake when they stopped at the local fast food joint. He fiercely protected the dog against the neighbor’s cat and kid gangs in the neighborhood. Rebel was old, missing teeth, just plain ugly. He was a crested Chinese dog (see picture of the species). Melkie could have been a different sort of person if he hadn’t had the childhood he had. Shelly, half mermaid, her mother marrying a human, lives with her two cousins, full-fledged mermaids. As a mermaid they are able to change to human form or mermaid form. She joined them after her mother and father were killed in an accident. Along with that heartache, Shelly was also dumped by her boyfriend once he found out all the ‘tricks’ she was able to do when in water. Jet and her sister, Lily, opened their home to her and gave her a family which she was immensely grateful. When Sheriff Tillman Angier caught her eye, she watched him for months to make sure he was the kind of person she would like to get to know. And it seems that the sheriff had also been checking her out. The sheriff’s brother, Eddie, took therapy classes with Shelly at the local swimming pool and even though he had severe autism, she was making headway with him. They finally meet there when Tillman comes to pick Eddie up. Eddie’s mother had problems with drinking, an embarrassment to Tillman, but I enjoyed the way he treated her. In fact, Tillman was kind to everyone. Quite the gentleman. He loved his mother, but knew she needed help. Portia Angier was not completely fleshed out, since she was only a secondary character in this story. I’m not sure if she’ll appear in the rest of the series. I hope she does, because she probably has secrets of her own that led her to drinking in the first place. Shelly is a lovable character. She lives between two worlds. She’s neither totally comfortable on land or sea. She has a heart of gold. We see how she interacts with Eddie, his mother, her cousins and various people in the community. She’s different from her cousins, softer, more compassionate. She and Tillman sizzle when they’re together. Each are drawn to the other. Tillman tries to protect her from the stalker she says is after her, but knows she’s not telling the complete truth which frustrates him. He is a person who knows detail is vital to understanding the situation. Could she be the one doing the killing? Can the killer be one of her cousins? He questions everything, including his attraction to Shelly. Some of the story was surprising, twists that I never anticipated. The biggest surprise I can’t share for it would spoil the story for you. Secondary characters are to be watched! I thought this fantasy read fun and entertaining, just enough loose threads hanging making book two a must-read for me. About the Author: Debbie Herbert writes paranormal romance novels reflecting her belief that love, like magic, casts its own spell of enchantment. She’s always been fascinated by magic, romance and gothic stories. Married and living in Alabama, she roots for the Crimson Tide football team. Unlike the mermaid characters in Siren’s Secret, she loves cats and has two spoiled feline companions. When not working on her upcoming books, Debbie enjoys recumbent bicycling with her husband, as well as spending time with her two adult sons. I’ve included here a question from an interview Debbie had with Meridian Mer-Gyver. I like to see what other activities authors are involved in other than writing. Since this series is very much about animals and the waters where mermaids live, I thought you might be interested. I see that you care about ocean activism and recently adopted a sea dragon. How did you do this? Any other causes you support? This year for Earth Day, my Husband and I decided to adopt from the Aquarium of the Pacific, every year we do something for Earth Day and this was something new to both of us! After a trip to the Aquarium, we learned that you can adopt, more like sponsor, several different sea creatures currently living there. We adopted a Leafy Sea Dragon and named him Blythe (named after Anne Blyth!) our adoption fee goes to support, house, and feed the Sea Dragons! Anyone can adopt, at any time by going to the Aquarium of the Pacific website, donations start as low as $25. Choose from Sea Dragon, Sea Horse, Penguin, and many more! Each adoption package comes with a photo of your adopted animal and a fact sheet and our package came with the cutest plush Sea Dragon. It’s a really cool and fun way to give back to our ocean family. I also follow Dr. Wallace’s work with The Blue Marble Project. I help spread the message of Live Blue and ocean conservation through his Blue Marble game. Every time I got to a mermaid event I hand out blue marbles! How to play! 3. Hold the marble to your mind’s eye and think of the person you will give it to. 4. Hold the marble to your heart and imagine the gratitude felt in giving and receiving. 5. Give a blue marble away and watch it travel the world! I have joined in on Beach Clean Ups and I follow and support Project Aware. They are all scuba divers, like me, eager to help out our oceans! Mostly, being a water activist means being aware of what is going on and how I can help prevent things by doing good things every day. Things like using your own canvas bags or paper bags, plastic bags spell death for many sea creatures. Plastic is the serial killer of our oceans and waterways, I am a huge recycler and composter. We hardly have “trash” because everything is composted or sent to the recycle yard. In Southern California we are experiencing a high drought season, which is sadly common and how we use our water is important. For years we have had a system on how to conserve water. Washing Machines, Dishwasher and Sprinklers all run at night, to help elevate daily waste from over watering and washing during the high heat of the day. We collect the water that runs from the tap while waiting for Hot Water and it is used to fill the water dishes for our many pets. It’s the little things that are done each day, that go unnoticed, but if everyone does their part they become big things that really help! 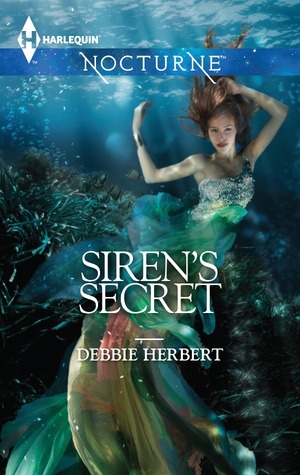 This entry was posted in Book Reviews, Paranormal, Paranormal Romance, Romance, Romantic Suspense, Supernatural Suspense, Women's Fiction and tagged Book Review, Debbie Herbert, Mermaids, Paranormal Fantasy Suspense, Siren's Secret. Bookmark the permalink. You’ve pulled me into another book I would not normally have been interested in. I love the cover, your description of the writing, and the prospect of excitement to come. Thanks, Eileen, as always. It’s that way, isn’t it? I love discovering genre I’d never think to read AND a new author. Thanks for the wonderful review! 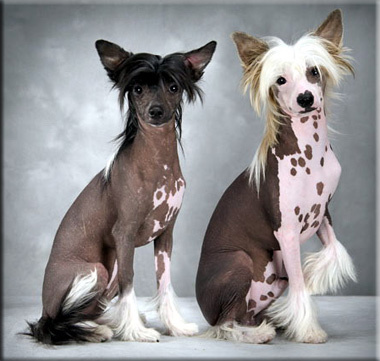 And I love that you included photos of Chinese Crested dogs. 🙂 You made such an interesting comment about Melkie – that he would have been a good person if not for his upbringing. I hadn’t thought of it quite this way but you are correct. Again, many thanks for the review, Eileen. Always my pleasure to discover new talent. I hope you enjoy Kathryn!